Registering for our wedding was one of the few things I found immensely stressful. Everyone says how fun it should be, but I just felt so overwhelmed. First, deciding what we need, don’t need, have space for, etc. Second, choosing the “best” option from all the possibilities out there; how am I supposed to know which knife set will cut the best or last the longest? Third, how do I know how many I need to register for? I know – I probably thought way too long and hard about all of these things but that isn’t unusual for me. There are so many things that we sadly don’t use very often. In the past year, a couple of the kitchen appliances have been used only once. When living in a small space, I sometimes think some of our choices were foolish, but you live and learn, right? I don’t know what items we really would have chosen differently if we had the chance. 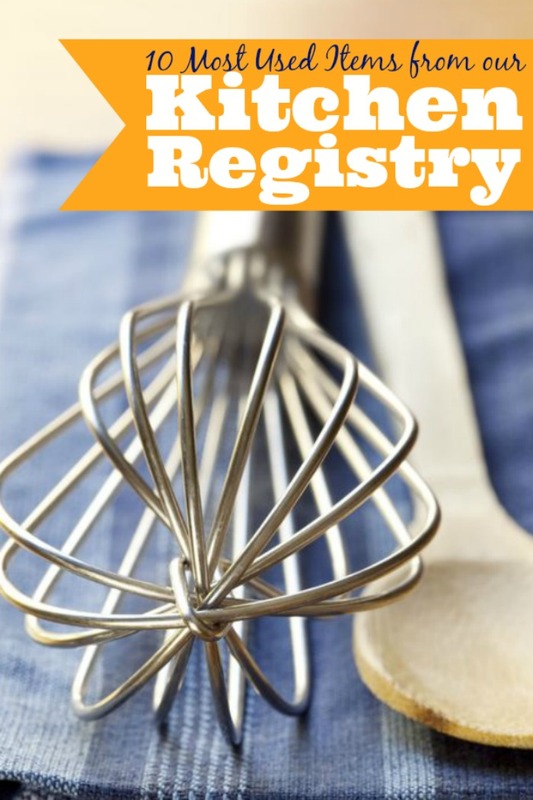 I did want to share with all of you though the items from our kitchen registry that we use the most – some surprising, some expected. 1. 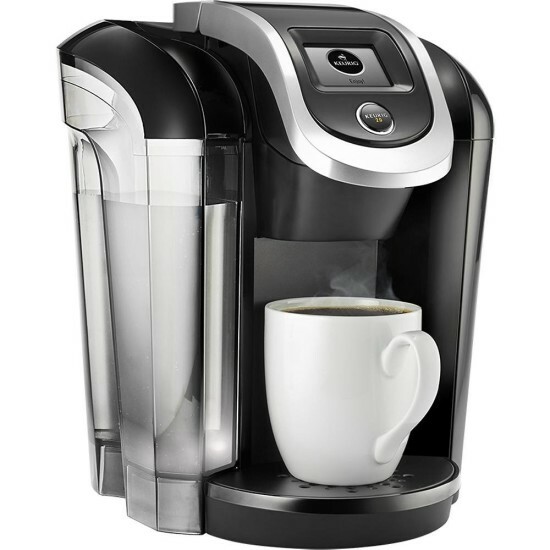 Keurig Platinum Edition – We chose the platinum edition because of the larger cup size and the iced beverage capability. We use this almost every day. It probably sounds pathetic, but I can’t imagine life without it; I don’t think our wallet can either. Updated: They have since released the new 2.0 which looks awesome. One unique feature that it offers is the carafe size K-Cup function if you are wanting to make more than just one cup (such as for brunch). 2. 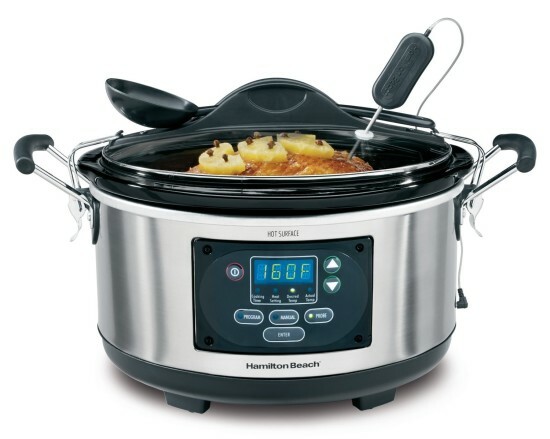 Hamilton Beach Set and Forget 6 Qrt. Slow Cooker – I love our crock pot and have already posted a couple of our favorite crock pot recipes on the blog with more to come. The one we chose is large which means lots of food when we have friends and family over but also lots of leftovers for the two of us. It is also fully programmable and has a lock lid so we can take it over to someone’s house. 3. 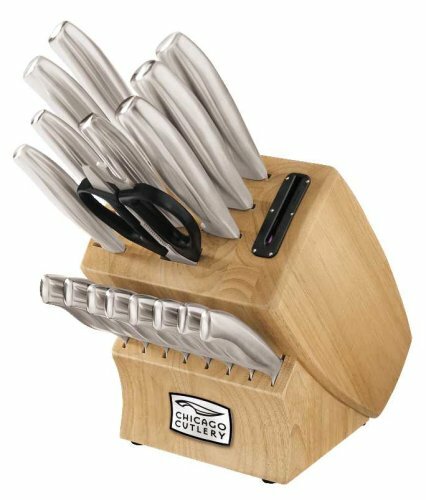 Chicago Cutlery Insignia 18-pc. Knife Block Set with Sharpener – This was one of those items that I stressed a lot about. I wanted to make sure we had a good set of knives that would last us a long time, especially with how expensive good knife blocks are. I spent a lot of time researching and, a year later, I am happy with our choice. 4. 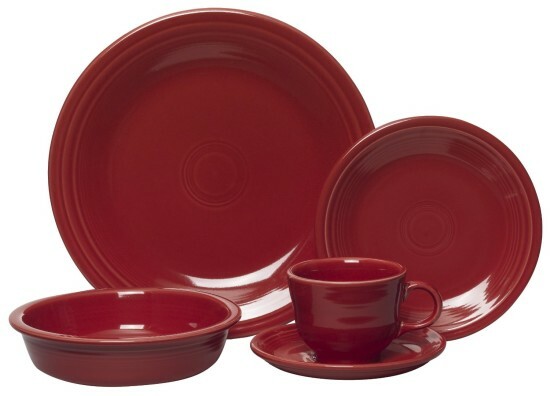 Fiesta Ware – While only a year in, our fiesta ware is holding up really well. Nothing has been chipped, cracked, etc; this is good considering that the husband and I are a bit clumsy. I also love the matching canisters we bought. They house our flour, sugar (for our daily K-cup), and cooking utensils. I was worried the canisters wouldn’t get good use or that they wouldn’t seal properly, but both of these were wrong. In case you are curious, we have four colors: turquoise, lemongrass (a green), scarlet, and sunflower. 5. A Light Mixing Bowl Set – We had registered for a Food Network Mixing Bowl set that is no longer available, but this set is pretty close. I use these almost every day. I highly recommend getting a nesting set that is super light and dishwasher friendly. While I love my glass set, they can get heavy and therefore make preparing food trickier. I also really love the splash of color that these add to my counter. They look all cheerful next to my red, blue, green, and red fiesta ware canisters. 6. 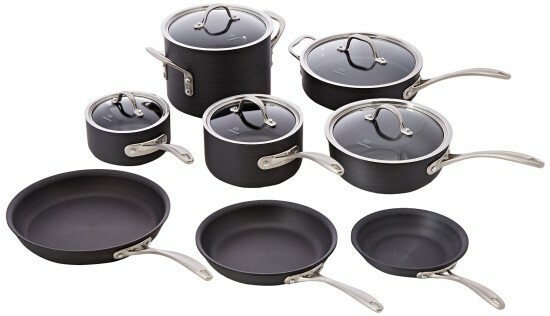 Calphalon Hard-Anodized Cookware set – A set of pots and pans was another item on the registry that intimated me. Again, so many options, choices, sizes, and contradictory opinions. In the end, I decided to go with the most recent set my mom owns because I liked cooking on them. I gave up on researching for this item and just went with something I knew. Besides Bryan scratching one or two a little bit with a metal utensil, they are in good condition and have worked well. We registered for a 12 piece set which is good for the basics. After using them awhile, I think I will need to ask for a couple extra pots with coordinating lids (maybe for Christmas this year). 7. 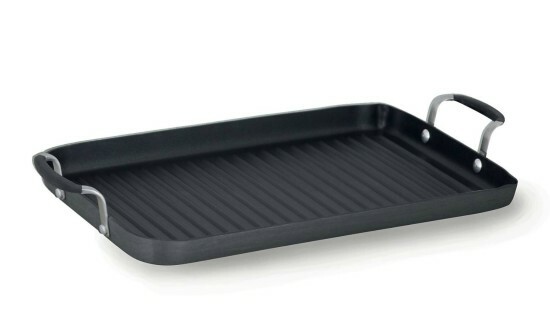 Calphalon Hard-Anodized Griddle Pan – The extra Calphalon piece we did register for was the two burner griddle pan, and we have used that way more than I ever expected. We originally debated getting a griddle appliance – so happy we didn’t! They take up a lot of space, and this pan definitely does the trick. We use it for pancakes, bacon, occasionally burgers or chicken on the skillet, or heating up multiple tortillas at a time for fajitas. 8. 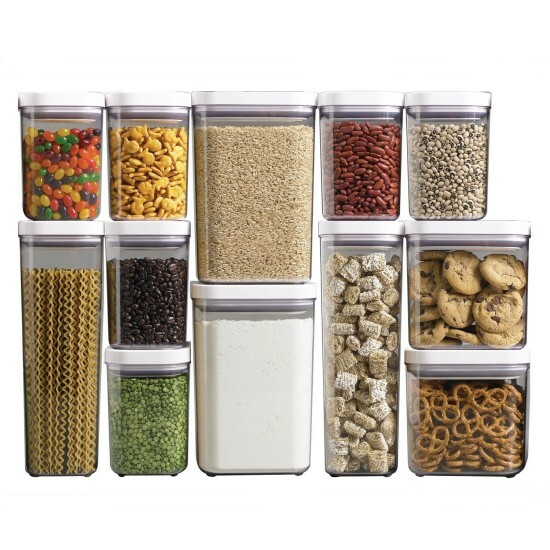 Oxo Good Grips 10-piece POP Container Set – Oxo can be expensive, so I don’t think these are the only solution. I do love having this type of storage though and highly recommend it. For one, we don’t have a lot of pantry space, so it looks a lot nicer for these to be sitting out on open shelving storage than a mix of random boxes and bags. Two, they are great for condensing boxes, such as my boxes of pasta, and, three, they keep things fresher longer. When we registered, we got the bulk 10 piece set which was a great starter. Now, I am again finding other sizes that I want and slowly building my collection. Bed Bath and Beyond is great for this with their coupons, as is Kohls when they do a larger sale. 9. 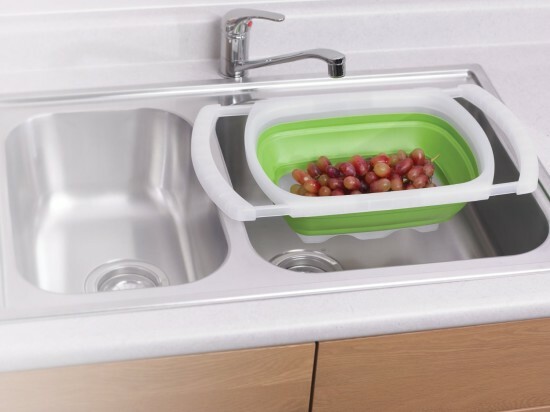 Collapsible Strainers – As I try to find more ways to save space in our apartment, these collapsible strainers are amazing. I have three different sizes (this large colander size linked, a large round standing one, and the small round handled one) and they take up less space than a normal strainer. Perfect! Next for me will be these collapsible measuring cups. 10. 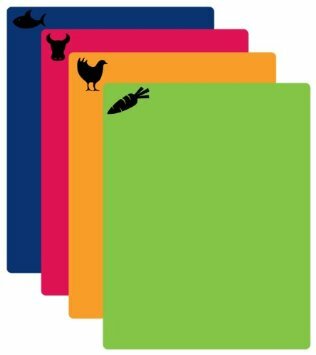 Flexible Cutting Mat Set – There are a ton of cutting boards out there, and we have a heavy duty recyclable one of some sort and a HEAVY wood board that we love when cutting meat.But these are the ones we use all the time. They are light, don’t take up a lot of space and colorful – which if you haven’t noticed is a selling point for me. 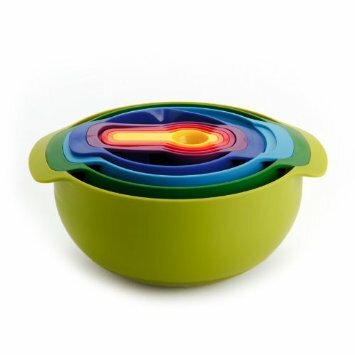 I also like having a set of 4 because it gives me more options while cooking without needing to constantly wash one in the middle or without worrying about any cross contamination of food. What kitchen items could you not live without? As a soon to be bride, thank you SO much for a REALISTIC top 10 list of wedding registry items! I’ve been stressing out seeing countless posts and articles on “what I ‘NEED’ to register for” as a bride, but this is, by far, the most honest list I’ve come across in the past few months! That Keurig is so awesome!